Dr. Robinson was almost in front of the beast, when its one eye caught sight of his movement in the air. 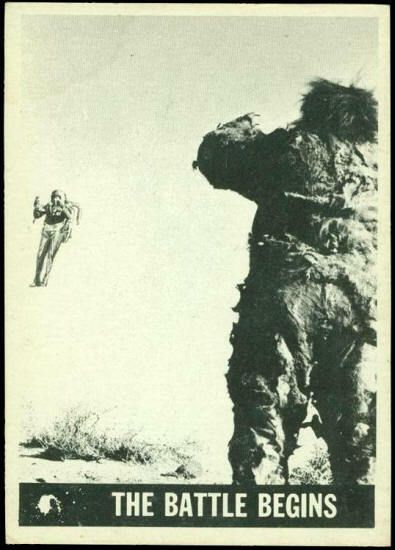 The creature roared out and moved forward to meet the flying Robinson. Checking his gun, John aimed carefully and fired directly at the beast. Just then the belt’s rockets failed and John was falling to the earth directly in front of the beast. 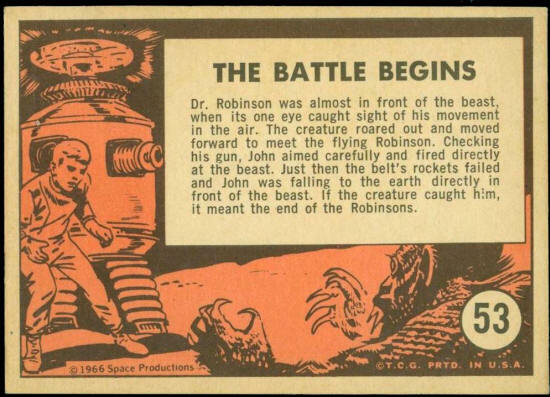 If the creature caught him, it meant the end of the Robinsons.